Trans vaginal mesh injuries – is anyone accountable? Danny is the CEO of the Health Issues Centre. 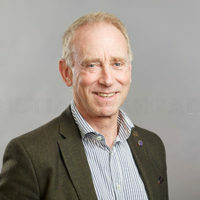 He has a background in marketing communications and public engagement that stretches across a range of sectors including health, environment, local government, telecommunications and consumer goods. He is currently CEO of the peak Victorian consumer health body, Health Issues Centre and prior to that was COO and Marketing Director at the Australian Conservation Foundation. The medical catastrophe associated with Trans Vaginal Mesh implants is a cautionary tale about the vulnerability of the fail-safe mechanisms we rely on to protect us from medical harm. The life changing impact that thousands of women have endured as a consequence of their implants is a catastrophe 20 years in the making. But the back story of how a medical device touted as the “gold standard” in pelvic prolapse and stress urinary incontinence repair even got to market let alone evaded detection that it was causing life-changing injury, is a tragedy in its own right. Make no mistake, if it wasn’t for the courage of a few women precipitating a Senate Inquiry and a search for the truth by health consumer groups around Australia, mesh implants would be still performed under business as usual. My own understanding of mesh began through the harrowing accounts of a group of injured women who had bravely responded to our invitation to a consultation initiated by the Australian Commission for Safety and Quality in Health Care. My disbelief was compounded by learning that nobody knew how many women’s lives had been ruined by mesh injury, in fact nobody knew how many procedures had been carried out although TVM had been the front-line procedure for dealing with pelvic organ prolapse and stress urinary incontinence for almost 20 years. Many women did not know that their ongoing symptoms were mesh related and in some cases were not even aware that they had received mesh implants. We initiated a social media conversation by setting up a dedicated Facebook page and provided a link to a survey that would de-identify the respondents from their testimonies. We had no idea whether we would find an audience but within the first week we registered several thousand connections and received four hundred completed surveys. By the time we stopped soliciting testimonials six weeks later we had reached over 160,000 women of whom 2,400 had participated in the survey. Their experiences reiterated and amplified those of the women in the original consultation. The calibre of a quality and safety system is not how it operates in a business-as-usual environment but how well it prevents catastrophic consequences. The stories of women whose lives have been irreparably broken by mesh, who have spent years convincing their clinicians that they weren’t imagining their symptoms, who have been subjected to chronic pain and recurring infection, repeated surgery and a lack of compassion has been documented in the many media stories generated by our research. But mesh is not only a deeply problematic product, it represents a chronology of failure of our quality and safety mechanisms including regulation, clinical practice and duty of care. The calibre of a quality and safety system is not how it operates in a business-as-usual environment but how well it prevents catastrophic consequences. Regulatory approval – How did over 100 variants of a poorly tested device make their way into the market without adequate clinical testing for safety and efficacy? Medical device register – How could we not know how many of these devices have been implanted over a 20 year period other than to rely on inventory estimates that between 100,00 – 150,000 products that have been distributed by manufacturers? Adverse event reporting – How could the mandatory process of adverse event reporting so dismally understate the extent of the problem (96 cases recorded by the TGA over 5 years)? Complaints reporting – How could the various state and federal complaints mechanisms fail to detect an alarming pattern of recurrence in mesh related complaints and fail to signal alarm? Informed consent – How is it that only 34% of women surveyed believe they were given sufficient information by their clinician to provide informed consent to the procedure? And is even that number meaningful when none of them were forewarned that mesh is intended to be a permanent implant and removal is problematic? Practice standards – How can the relevant professional associations claim that the mesh catastrophe is a consequence of inadequate training and certification of their own members yet refuse to accept any historical responsibility? Conflict of interest – How could we allow practitioners to personally receive manufacturer kick-backs for performing mesh implants without disclosure of their pecuniary interest? Product recall procedures – Why can we respond to a single case of food contamination with a total national recall within 48 hours, yet we leave discredited medical devices indefinitely in the market place? Patient Centred Care – How does telling injured patients that they are imagining their pain or that it is a natural consequence of ageing square against our commitment to PCC? “Yes there may have been historical problems with older products but the newer products are much improved” (except they haven’t been clinically tested). “Previous misadventures were due to poorly-trained/inexperienced surgeons” (you would think after 100,000 or so of these procedures they would have got the hang of it). “While there may be a small number of women who have had unfortunate outcomes the majority have experienced wonderful results” (funny how the people who discredit the lack of empirical evidence of mesh failure don’t have data to support this assertion). “Mesh may be problematic for POP but we can’t deprive women of the option of mesh simply because of the adverse outcomes suffered by a few” (since when was the professional commitment to “first do no harm” mediated by the proviso of acceptable collateral damage? Systems fail, they are imperfect. But good systems hold up under pressure. They shouldn’t take 20 years to uncover and redress tragic missteps but they should have the capacity to self-identify and address their weak links before their integrity is compromised. But nobody has taken responsibility for the pain and suffering of countless women and that leads to the ultimate tragedy of the mesh debacle – if there is no one to accept accountability then there is no one to validate the experiences of all those injured women with the simple acknowledgement “sorry”. The ultimate tragedy of mesh is that it demonstrates that our world class health system, as unarguably great as it is, is not accountable to the people it was built to serve. We need to make it so.